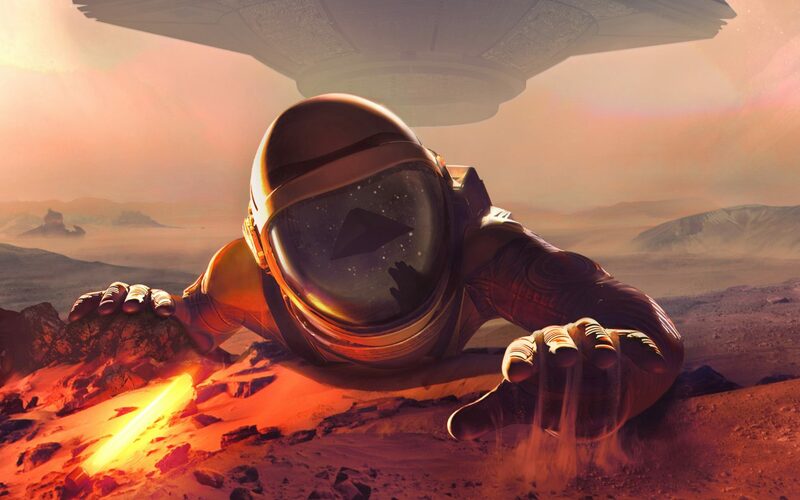 3rd Eye Studios has released a video of their new title, Downward Spiral: Horus Station, showing 17 minutes of floating space-action in its gameplay. 3rd Eye Studios is showing off 17 minutes of gameplay from their new title, Downward Spiral: Horus Station. The gameplay video comes from the GDC demo, and is being played on a PC platform. Downward Spiral: Horus Station is about a lost vessel that was abandoned by its former crew, and you have to use the ship’s maintenance hardware to solve the mysteries in its corridors. You play the game in a first-person perspective and deal with unique weightless physics to help or hinder you along your way. Rail guns, bolt throwers, and arc welders can be used to solve the puzzles of the drifting Horus Station, as well as to defend yourself and eradicate certain dangers. The main focus of this title seems to be the innovative controls that 3rd Eye Studios has implemented into the gameplay. Zero-gravity is a particularly specific element, and often games have you tilt the joystick forward to move forward. However, in Downward Spiral: Horus Station, players will just float without something to grab onto, just like in a real weightless environment. Propel yourself from walls and objects using the environment of the Horus Station, or find tools to help grapple your way through the various holes and hallways. Downward Spiral: Horus Station has an option for the campaign that allows you to play it without dangers to worry about, should you only want to focus on the story without any present dangers. The game also isn’t just for one player. It can also be played in a co-op two-player mode in the campaign, and will also feature eight-player PvP and PvE multiplayer modes that include Survivor challenges, waves of danger in Horde mode, and then of course, the classic Deathmatch. Downward Spiral: Horus Station will release for the PC and PlayStation 4 in Spring 2018. The title has VR support through the HTC Vive, Oculus Touch, PlayStation VR, and also with Windows Mixed Reality, should you want to see the Horus Station up close and personal. The 17 minutes of gameplay can be watched in the video below. If you don’t like watching 17-minute videos and still want to know more about Downward Spiral: Horus Station‘s story and creative background, then the official website might have what you are looking for.